Looking for crispy potatoes that are not only easy to prep but taste delicious? Then these are your potatoes, slowly roasted to perfection! They are great for breakfast lunch or dinner. 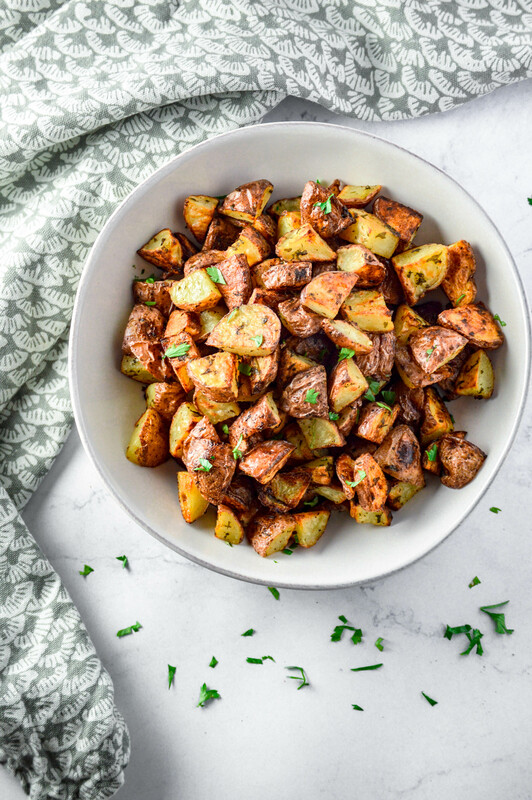 These crispy little potatoes are also perfect for meal prep. All you have to do is put them under the broiler for a couple minutes to heat and crisp right up. They go great with a wide variety of sauces and any protein!! 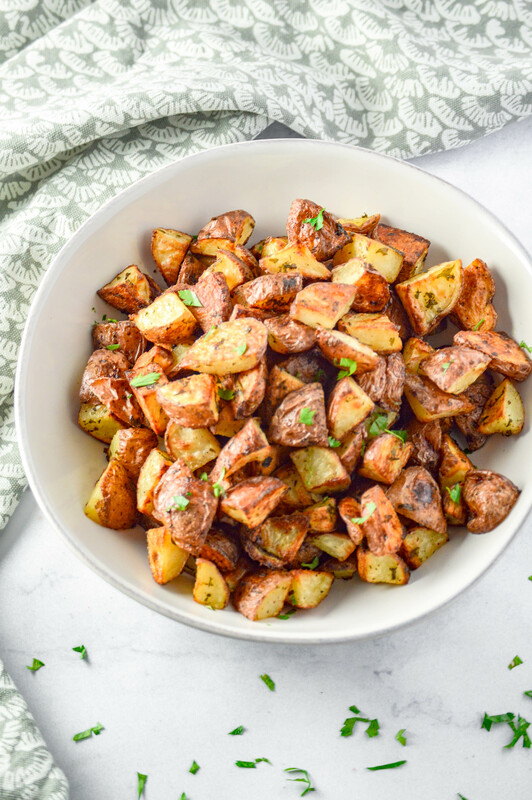 Perfectly Roasted Potatoes are easy to make. Start by cutting up 2 lbs of potatoes into about 1 inch cubes. You can use any potato to make this. I personally prefer a small red or white potato. Once cubed add to mixing bowl. Add the avocado oil, dried parsley, garlic and onion powders, pepper and sea salt. Mix until potatoes are evenly covered. Place parchment paper on a backing sheet and pour the potatoes on top. Spread them out making sure, as best you can, they are not touching (allows them to cook more evenly). Cook for 40 minutes flipping every 10 minutes. This helps to get them perfectly crispy! It also helps to have a couple sauces on hand. 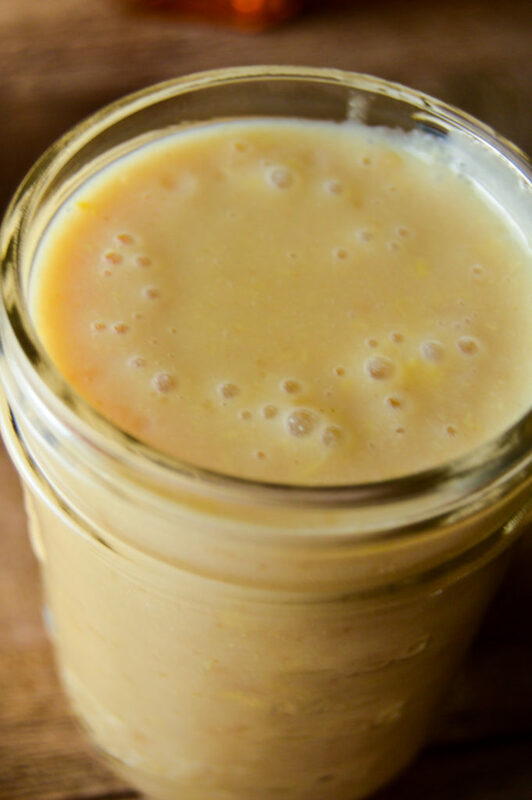 If you want a great meal prep sauce try my bbq paleo mustard. Potatoes lightly seasoned then roasted till perfectly crunchy. Mix up all your ingredients so the potatoes or evenly coated with oil and seasoning. Place parchment paper onto you sheet pan (if you choose) and spread the potatoes out on the sheet pan. As best you can make sure they are not touching to allow them to cook evenly. Once oven is heated place sheet pan with potatoes into the oven. Cook for 40 mins, stirring/flipping every 10 minutes. 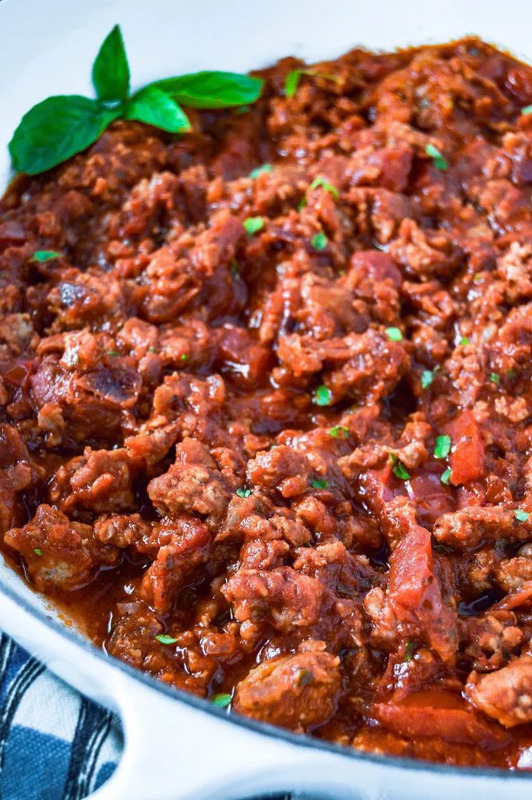 Nothing is better than a good Marinara sauce over your…wait thats wrong… nothing is better than a good Marinara sauce with Spicy Sausage over, well, anything! Its one of those things that is good with pasta, vegetable noodles, veggies, chicken …you get the idea. It even works as a sauce for your pizza. 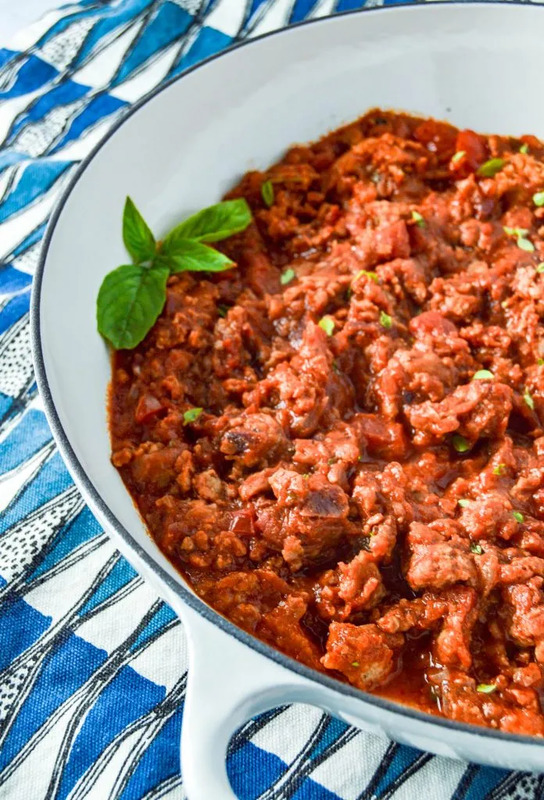 This twist to your basic marinara is going to be a game changer. I usually have it with Cauliflower Rice, Quinoa or Chickpea Noodles. 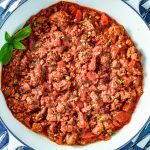 Besides the sauce Paleo, Whole30 and keto compliant it freezes well. You could make a double to triple batch and freeze it into individual serving sizes. 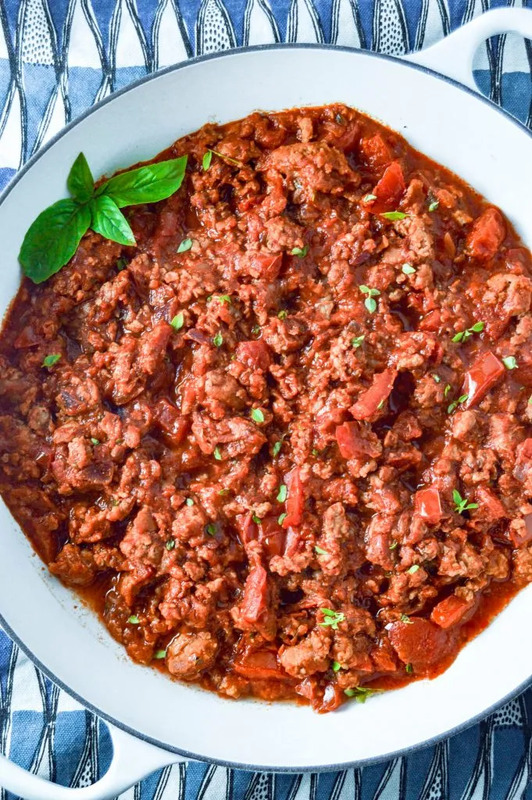 Perfect for a quick easy dinner! It is a life savor on a night where there is not time to make anything. 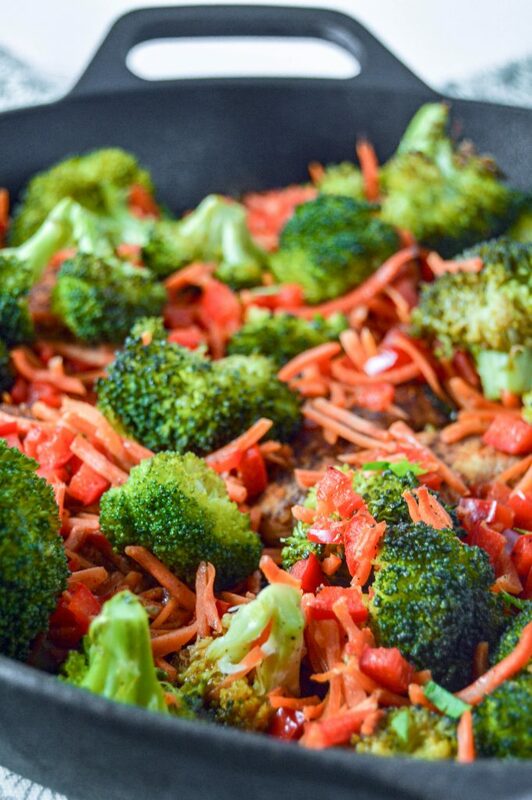 Just mix it with some cauliflower rice and have a deliciously satisfying dinner in 5 minutes! 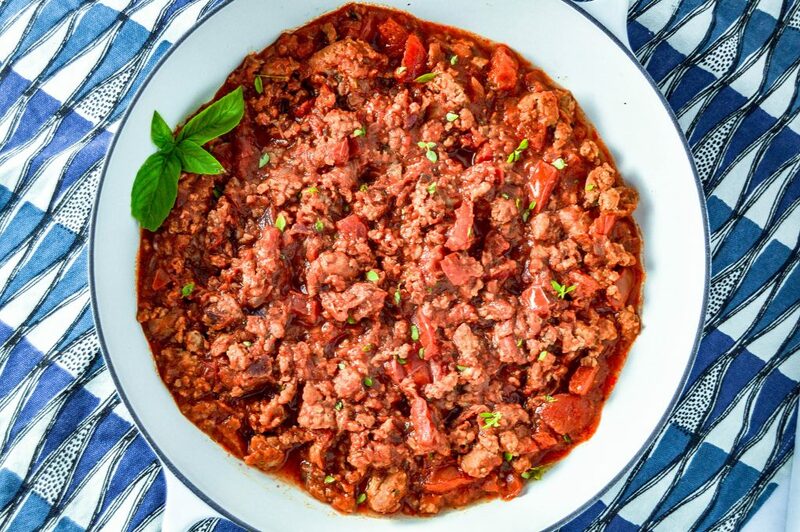 You can easily substitute ground chicken, turkey or beef if you choose. You can also make it a little less or little more spicy if you choose. Just add less or more crushed red pepper. However you choose to eat it, I can guarantee you will enjoy it. A Spicy twist to the classic Marinara. Potato Salad is a go to for any summer cookout… it is even better when you add Roasted Peppers and fresh Dill! This is an amazing twist to your favorite classic potato salad. Not to mention, it is extremely easy to make! 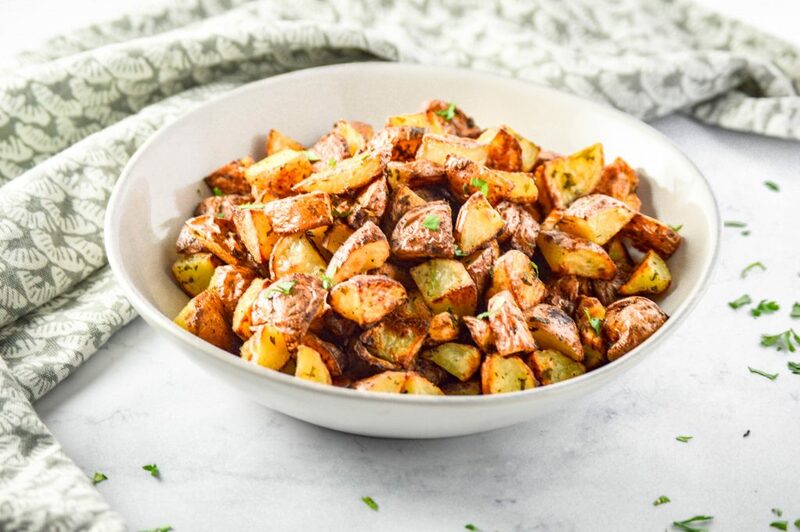 The combination of fresh Dill and Roasted Potatoes make an amazing flavor. 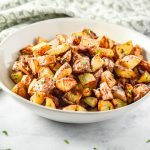 What’s even better is that this potato salad can be easily made Whole30 compliant, is dairy and gluten free!! First, you start by cubing the potatoes into about 3/4 to 1 inch cubes. Then, add 1/2 teaspoon Sea Salt and Cubed Potatoes to a pot filling with water till all potatoes are covered. Bring water to a low boil and reduce the heat, allowing the potatoes to cook. While the potatoes are cooking dice you some yellow, orange and red bell peppers. Add them to a sauté pan with olive oil and cook them on low for about 10 mins. Don’t forget to stir them around. Once the potatoes are done drain out the excess water. In a large bowl add the potatoes, roasted peppers and remaining ingredients. Mix everything together evenly and cover. Stick the potato salad in the fridge and allow for all those amazing flavors to combine. Before serving make sure to stir it up again. This Potato Salad is the perfect way to change up the same old potato salad you always make. You can easily switch out the Potatoes for White Sweet Potatoes if you choose. If you don’t have fresh dill don’t worry, it works just as well with dried dill. No matter how you make it I guarantee you will ENJOY it! Roasted Peppers add a great twist to the classic Potato Salad, not to mention its Whole30! 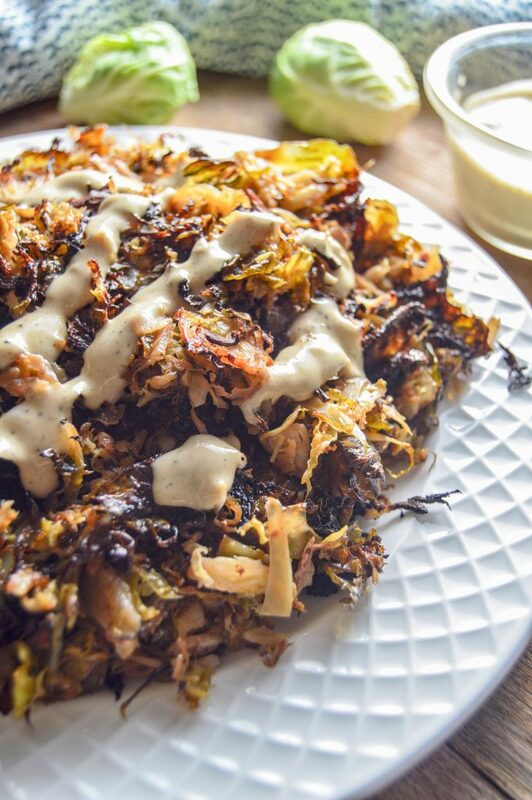 Brussel Sprouts cooked until they are perfectly crispy with a little Dijon Aioli will be your new favorite side dish. Recently, we went out to dinner for my Birthday and as an appetizer ordered roasted Brussel sprouts with a Dijon dressing with them. What a great pairing, we devoured the dish immediately and wanted more! 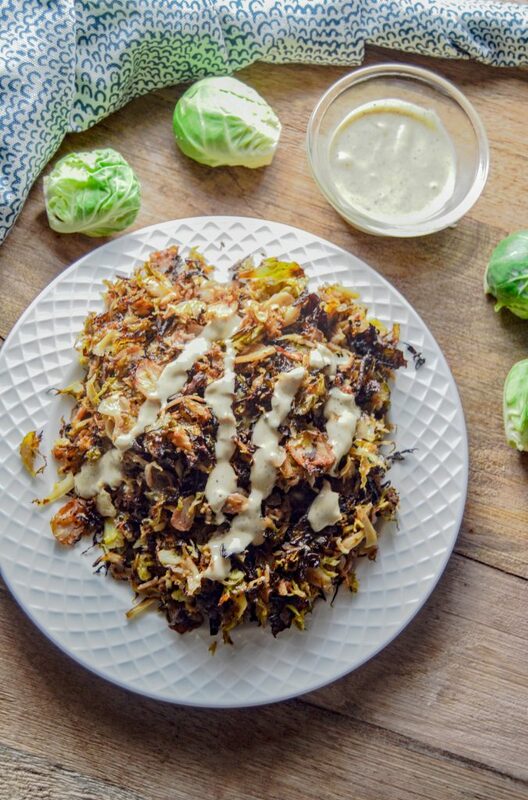 I have made Brussel Sprouts countless different ways pairing them with different dressing and sauces. This combination has become my go when I make this delicious dish. Start by shredding your Brussel Sprouts using the attachment on my food processor. Another option is to cut them in skin slices to shred them. Once shredded, add it and the remaining ingredients (under Brussel Sprouts) to a mixing bowl. Mix until the Brussel Spouts until evenly coated. Place Brussel Sprout mixture a parchment paper lined baking sheet and stick in the oven. 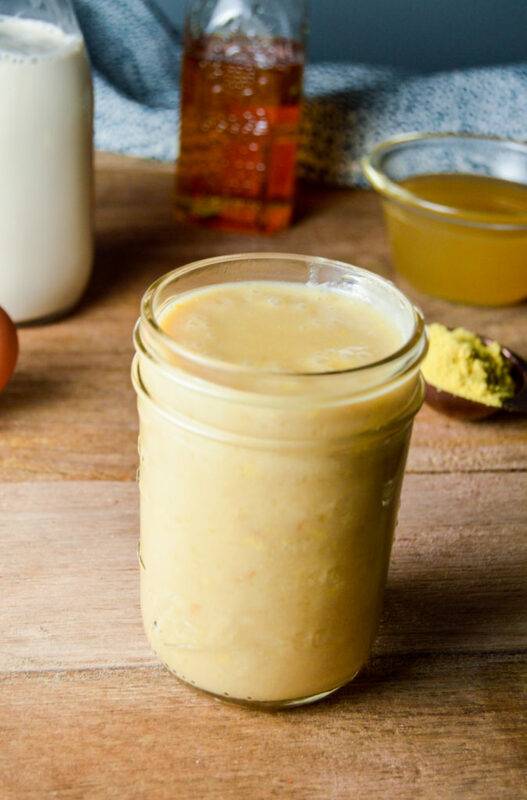 Once in the oven, you can start making the Dijon Aioli. In a small mixing bowl add the ingredients for the Dijon Aioli. Once mixed, place the bowl in the refrigerator to chill while the Brussel Sprouts to finish cooking. When done, pull the Brussel Sprouts out of the oven and allow to cool for 5 minutes. Once cool transfer to a serving bowl and, if you choose, top with the Dijon Aioli, or add it as you go. I guarantee that if you make this, there will be no leftovers. It is soooo good! 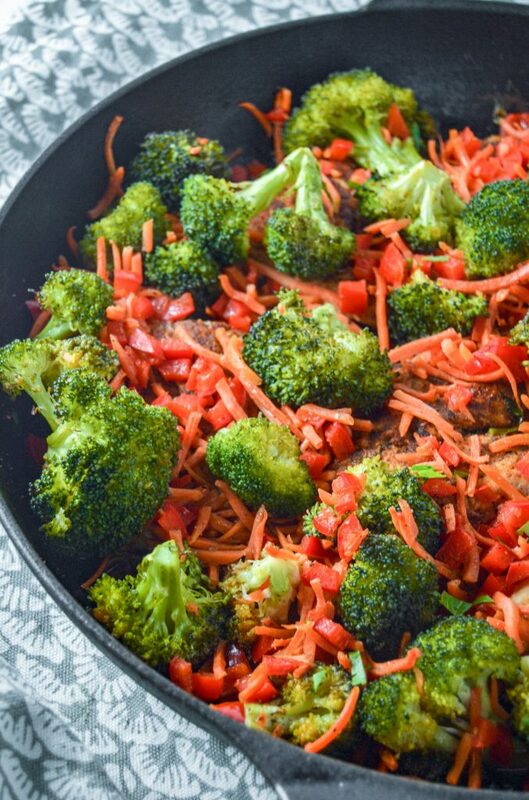 If you want to use it to make a delicious one dish meal add some chopped grilled chicken and done! Hope you enjoy it as much as I do! Place it in the over to cook for 20 minutes, stir/flip halfway through. In a separate little bowl mix all the Dijon Aioli ingredients together and put in the refrigerator to chill. 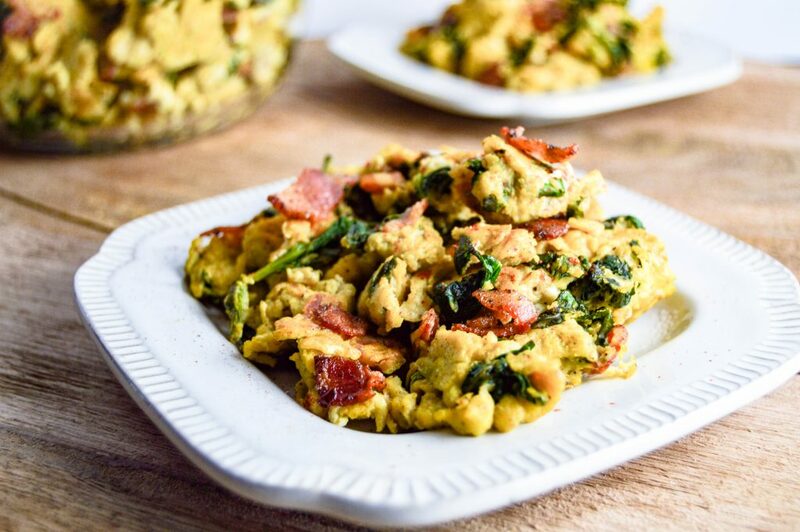 Bacon, Eggs, and Kale mixed with some Nutritional Yeast makes the perfect breakfast. Nothing is better than “Cheesy” breakfast dishes that don’t actually contain cheese. You can make it on a Sunday and have breakfast ready every day of the week. It makes your mornings so much more simple waking up, having to get ready for work, and already having breakfast ready to go. 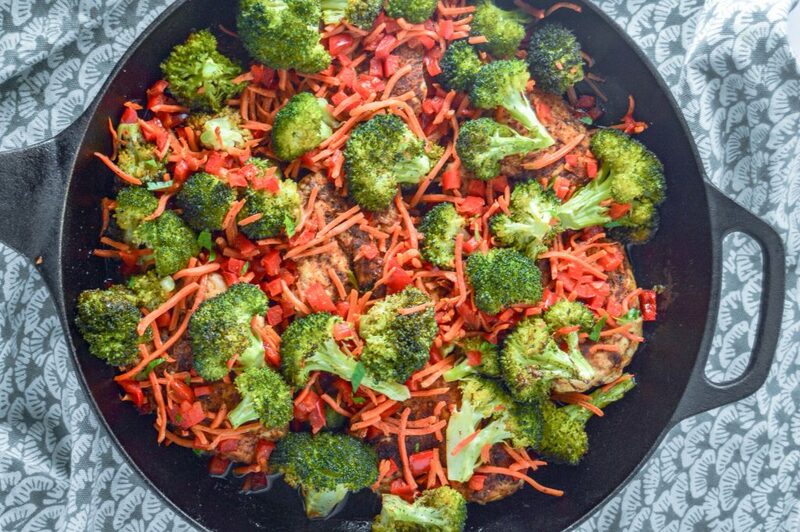 This dish is super easy to make. First, you take the bacon, slice it into 1 inch slices, and throw it into a 12 inch frying/sauté pan. Cover with the lid and allow to simmer over medium/medium low, stirring about every two minutes, until cooked. Once crispy remove the bacon from the grease spreading it out onto a paper towel. Add the kale to the bacon grease in the pale. cover and cook, stirring every few minutes. 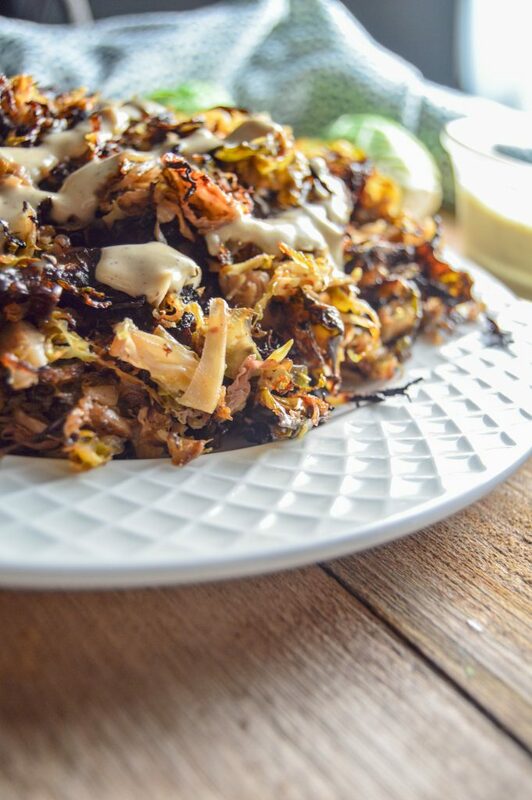 You want the Kale to be slightly wilted, crispy on the edges and slightly browning. 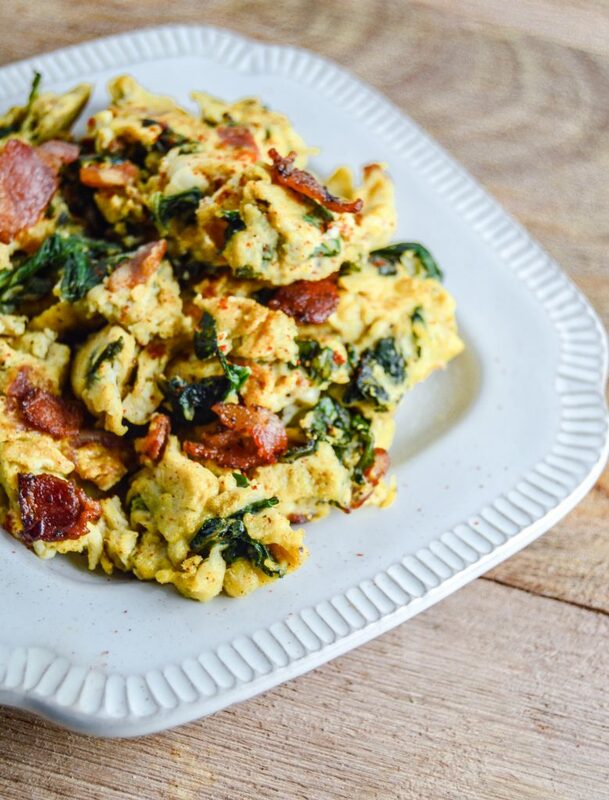 While cooking the Kale, mix up the eggs and remaining ingredients. Once the Kale is done cooking add the Bacon Egg mixture to the Kale. Cook and enjoy!! 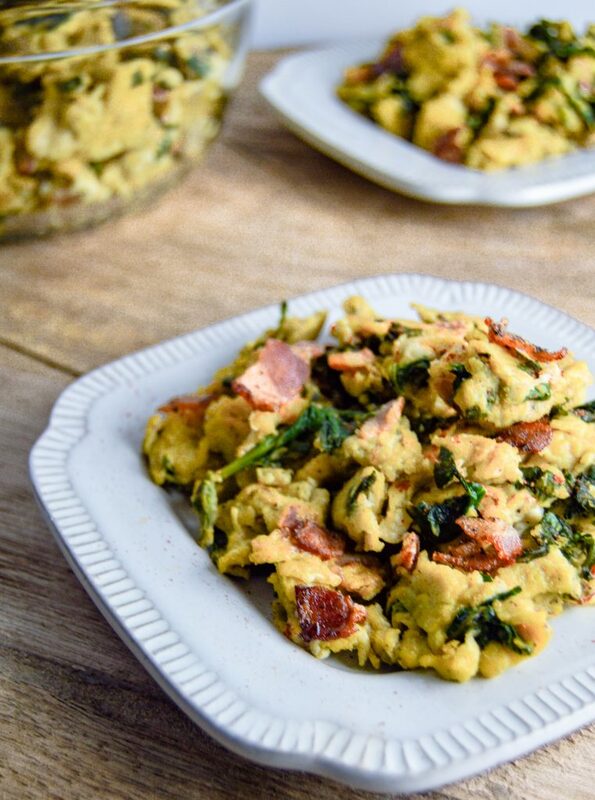 Bacon, Eggs, and Kale mixed with some Nutritional Yeast makes the perfect breakfast. Nothing is better than “Cheesy” breakfast dishes that don’t actually contain cheese. 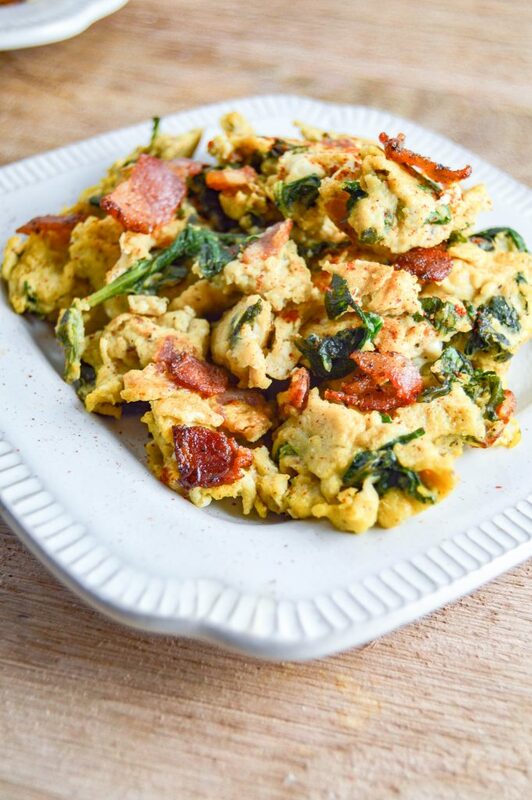 You can make this on a Sunday to have breakfast ready for the remainder of the week. Nothing makes your mornings so much more simple waking up, having to get ready for work, and already having breakfast ready to go. 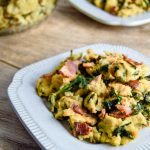 “Cheesy” Bacon Kale Scramble using Nutritional Yeast to give it a great cheesy flavor. 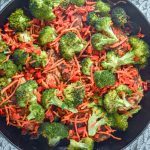 Whole30, Paleo and Delicious! Once crispy remove the bacon from the grease spreading it out onto a paper towel. Add the kale to the bacon grease in the pan, cover and cook. Cook till eggs are cooked through (7-10 minutes) and enjoy!! 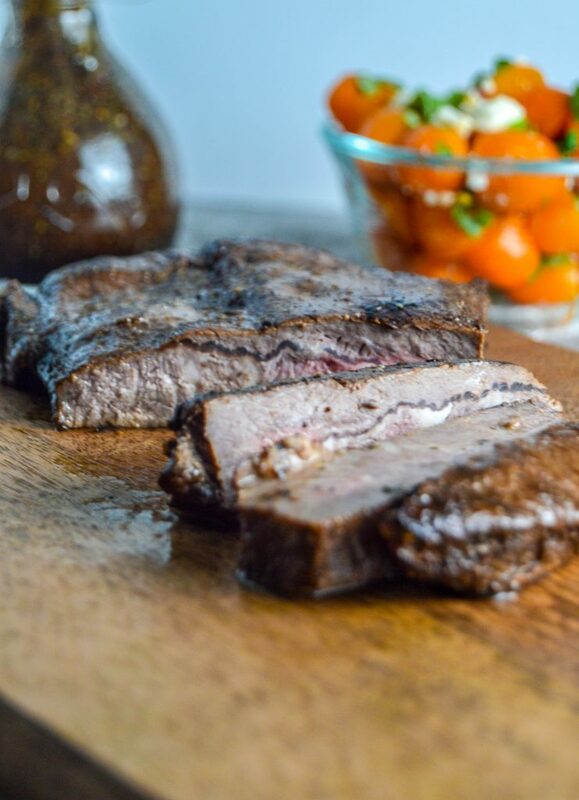 Balsamic Marinated Steak, this will be your new go to Steak Marinade. 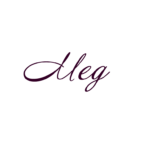 It is packed full of delicious flavors and I promise, you will love it. Balsamic Vinegar paired with perfect a blend of seasoning to include Oregano and Basil. Steak is perfect on the Grill, cooked in a Cast Iron skillet or broiled in the Oven. No mater how you cook it, it matters how you marinade it! A perfectly marinated steak can make your meal. It is super easy to make the marinade, which is something I love with my busy schedule. 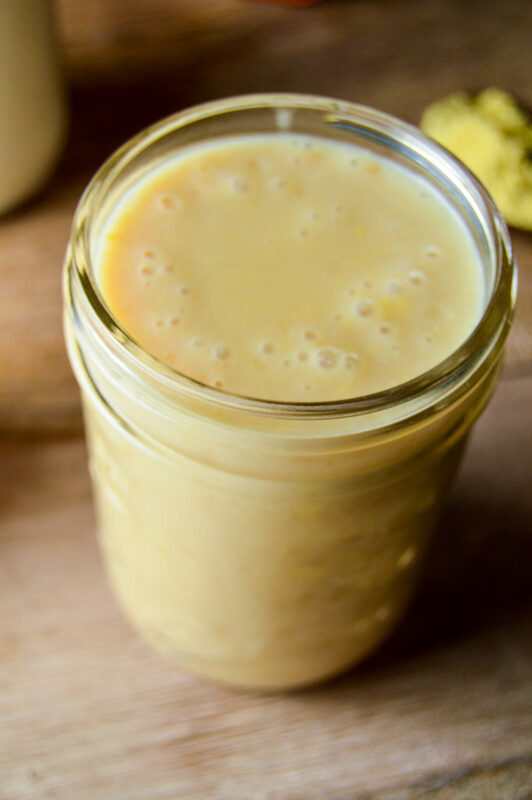 Just mix all the marinade ingredients together in a mason jar, measuring cup or bowl. Give it a good shake or mix and let sit while you prepare the meat. 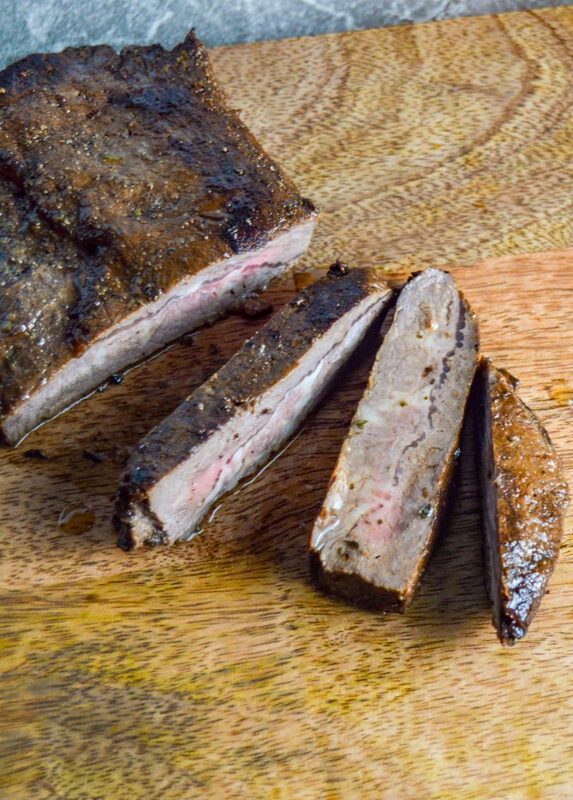 I have found that tenderized meat also allows it to better soak in the marinade. Stabbing it with a fork allows for the marinade to get into the steak. These techniques no only does it help the flavor but are a great way to take out the frustrations. Next, put the Steak into a seal-able container, cover with the marinade and seal. Place the seal-able container in the fridge from one hour to a day or two. I usually let it marinade for one day but I have also forgotten to marinade and have successfully done it for 30 minutes. I love to pair my Steak with a baked potato topped with my favorite lactose free sour cream. Ok let’s face it, sometimes its more like sour cream topped with baked potato. Don’t judge, I know I am not the only one. With summer coming I love to pair my steak with balsamic marinated tomato, basil and feta cheese. In addition to potatoes and tomatoes I love to put it on top of a salad with seasonal berries. 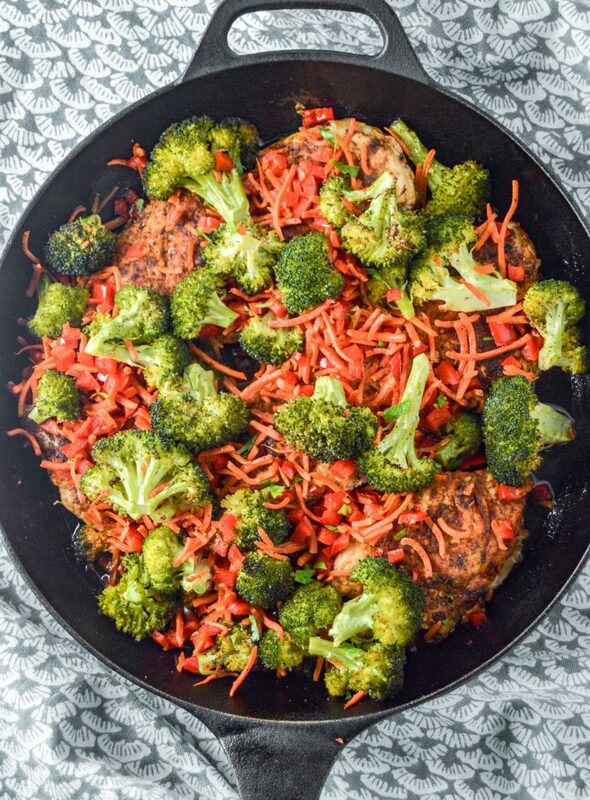 In spring time its strawberries, summer time roasted peppers and in the fall it a slaw with broccoli cabbage and radishes. Honestly, can’t go wrong with what your pair it with. 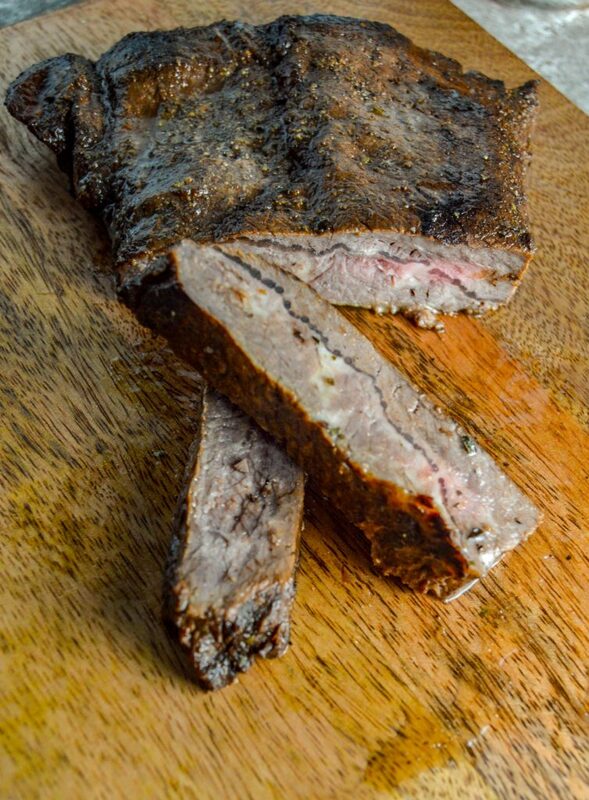 Flank Steak in a Balsamic Marinade. Whole30, Paleo and Keto Complaint. Once heated place steak in cast iron, flip after 4 minutes.